If you’re getting ready to publish a book, you have to spread the word about it. You can email everyone you know that you’re writing a book, contact every blogger you’ve ever heard of, or even post a sign on your car so that drivers will be compelled to look you up (yes, I’ve considered this!). But the truth is, no one will even notice these efforts if you can’t get them to care about your book. This is where a press release comes in. A press release is a short, to-the-point introduction to your book in an effort to get a reporter or the like to care about covering your book. Because reporters are busy and on deadline, a press release should quickly nail why readers would want to hear about this book, and should make writing an article about your book as easy as possible. Start with a compelling headline. You can be quirky or straightforward, but it should grab the reporter’s attention. If necessary, save this part and write it after the rest of the press release is complete. First paragraph: The hook. This is the who, what, and why of your book, and why an audience would want to hear about your book. Second to third paragraph: Interesting information about your book and yourself. Next paragraph: A testimony about your book. This is a great place a quote by you, or to put someone else’s quote or review about your book. Think about what a reporter would want to use as a quote in their article. If you are quoting someone else, it’s helpful if it’s someone the audience might recognize. Final paragraph: Sum up who you are and link back to your website. Ideally, a press release should be just one page long, and should be simple to read. Here’s an example using my own press release for Reclaim Your Creative Soul. It’s full of grammar issues or typos. It isn’t clear who the audience is. It’s not clear what the point is. It fails to be interesting. A reporter can’t find an easy way to write about it. That last point sums up everything a press release should do. The #1 thing you should think about when writing a press release is, how can this make it easy for a reporter to write about your book? Reporters are on deadline, and they are too busy to unravel why they should write an article about you or your book. You need to give them a clear reason why an audience would care about your book, and offer easy quotes they can insert into an article. Pretend like you’re writing the article yourself in a limited amount of space. Whose attention do you want to grab? What should this audience understand about your book? Include that info, and nix any extra info that’s not relevant to the point you are making. Finally, and probably the most important part, make sure to personalize your email when you are sending your press release. This means, DO NOT send a mass email with your press release. This is the #1 mistake some authors make, and a sure way to be ignored. Instead, take the time to send the email personally to the editor or reporter you hope to cover your book. After all, you want them to take the time to write about your book. Extend them the same courtesy and take the time to get to know who you’re writing to. Address them by name, and maybe even offer a reason why you thought to send your press release to them, specifically. And because reporters might be sketchy about opening attachments, copy and paste your press release into the body of the email. Hi Sally! I am sending you information about my upcoming book that releases on March 15. I thought you might be interested since you wrote about books on creativity last year, and it seemed to gather a great response. I think you will find this book just as compelling, if not more. I’ve attached the press release to this email, and have also copied it in the space below. I look forward to hearing from you. Ready to craft your own? Here are some sites that offer more information on writing a rocking press release. Are you having a hard time finding time for your writing? Are the mundane parts of your full-time life eating up the time you wish you could spend on your craft? 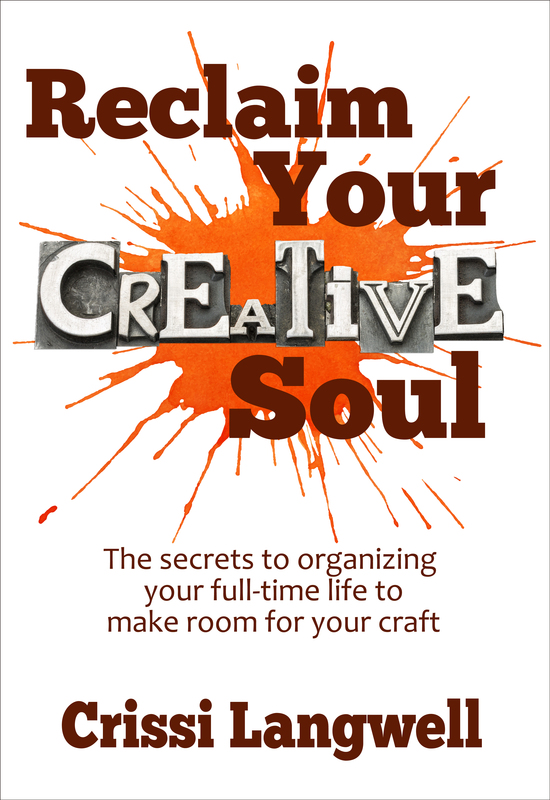 Learn how to fully engage in your creativity without quitting your day job in Reclaim Your Creative Soul: The secrets to organizing your full-time life to make room for your craft. Pre-order now to receive this book on March 15th. For an indie author, very little is sweeter than having someone else mention your book in a positive light. One of the favored ways for this to happen is for the media to catch wind of it, and then share the information with their readers. However, the media won’t exactly “catch wind” of your book organically. Your publicist (or, more likely, you) has to be the one to let media sources know that your book even exists, generally through a rocking PR letter (which I plan to discuss at a later date). And even then, your book may still be ignored. Should you manage to get your foot in the media door, make sure you don’t waste the momentary spotlight! Here’s how to make the most of this temporary attention. Request that a website hyperlink is mentioned in the article. A smart news source will ensure that every article they post will include easy-to-access hyperlinks, when applicable. This includes articles about books or authors. However, sometimes news sources may inadvertently omit this detail. If you are mentioned in an online article, check to see if there are any links to your website (more on this in Tip #3), or at least to where a reader can purchase your book. If an interested reader can’t simply click on a link to your book, it’s likely they won’t try to find it by any other means, as well. This leads to a missed opportunity for a book sale. If the article author accidentally skips adding a link that points back to you, it doesn’t hurt to send them a note requesting they include this information. Most likely, they will oblige. Price your book for maximum sales. Recently, a man was covered by our local newspaper about a book he had written on a harrowing experience he had endured. His story sounded incredible! When I went to go check out his book, however, I was really confused by his pricing. His print book was $14.95, which is a tiny bit high for a 180-page book, but still on the side of average. His Kindle eBook price, however, was also $14.95. A glimpse at who was listed as his publisher, and my confusion increased. He had self-published this book, made evident by the fact that his name was listed as the publisher. That means he probably had no middle men who would be paid before he could collect his royalty. Second, Kindle offers 70% royalty for books $9.99 and lower, but only 30% for books over $9.99. That means he is only getting about $4.50 for each Kindle book he sells at $14.95. He would actually make more money if his book was priced at $6.99! Finally, I don’t know anyone who would buy a Kindle book at a price that high. If your book ends up being covered by the media, the best thing you can do is lower the price, even just slightly, to try and entice the maximum amount of buyers. After all, the more people who get their hands on your book, the more readers you will gain. And the more readers you gain, the more potential there is for word about your book to spread. Make sure your website and author profiles are up to date. I hate to throw the above-mentioned author under the bus, but this is where he failed, as well. As far as I could tell, this author had NO website. That means that the coverage about his book ended with the article about him. He hadn’t even set up an author profile on Amazon, which meant that anyone who clicked on his name under his book title ended up in a generic search for any author with his name. Unfortunately, he holds a very common name, and his book wasn’t even on the first page of this search. Before your book is ever covered by the media, make sure you have some sort of website in place, and that it has an up-to-date profile on you (with a great photo! ), and a list of all your books and where to find them. This step is a must to ensure your readers have a way of connecting with you and learning more about your books. Other important steps are to create an Amazon authors page and link all of your books to it, a Goodreads profile, and a Facebook business page. You can learn more about how to help readers find you at this recent blog article. If your book is mentioned by someone else, by all means, crow about it! This is the one time it’s perfectly acceptable to post about yourself, because you’re really sharing the spotlight with the source that wrote the article. By saying, “Check out this great article about My Best Book Ever,” you are pointing the attention toward the media source, and not your own usual words about your book. Besides, readers will not just happen across this particular article. You have to let them know so they can find it (and hopefully share the news, as well!). So, if someone else writes about your book, let your readers know through any and all social media you own. Have you been covered by the media? What are some ways you’ve made the most of the spotlight? Hi, my name is Crissi, and I’m a stats-aholic. Check your book stats numerous times a day, whether it’s reviews or sales. Obsess about whether it’s moving or not. Spam your social media accounts to create movement in your stats. So why doesn’t this work? Let’s put it in terms of dieting. You want to lose weight, and so you purchase a scale. You then proceed to eat the food you always eat, and spend the majority of the day enjoying sedentary activity. The next day, you check your weight to see if there were any changes, and are surprised that the number hasn’t decreased. The rest of the day, you continue your regular routine. Except this time, you weigh yourself several times a day. Still, nothing is happening! Why? Because you’ve done nothing to actually lose weight. It’s going to take more than checking your stats obsessively to actually sell your books. And no, spamming your social media accounts won’t help. So how can you stop the obsessive stats checking and use your energy to actually spread the word about your book? Here are 12 things you can do now. First, make a vow to stop the stats obsession NOW. The least you can do is to refrain from checking your stats more than once a day. If you’re not doing anything proactive to make that number move, it’s akin to checking your weight when you know you’re not eating well. It’s an ego boost or an ego deflater – nothing more, nothing less. By checking your stats repeatedly, you are placing your worth on your findings. But the honest to goodness truth is, you’re worth more than whatever those stats will tell you. So just stop, okay? Limit the mentions of your book on social media. The reason to have social media is to be social with others. But if you’re constantly shouting about your book, no one is going to want to interact with you. Think about it as if it was a dinner party. The people who are the most fun to talk with are those who shine the spotlight on everyone around them. They are the people who make others feel good about themselves, who ask questions, who are genuinely interested in what others have to say. But those who can’t stop talking about themselves? They are the ones everyone avoids. Be the first guy. You can mention your book now and then. But focus more on drawing people in by putting the spotlight on others, sharing something that makes people feel good, and shedding light on who YOU are instead of what you wrote. Need an example? Go to the pages of your favorite authors and see what they’re doing to draw people in. I also recommend hosting a blog on your website, which brings me to step #4. Start blogging! First off, if you blog regularly on your website, it helps you with your Google rankings. It also gives people a reason to keep visiting your website (where all your book links are!). Blogging gives potential readers a glimpse at your writing style. It allows you to shed light on a topic you’re passionate about. It’s another form of connecting with others. It helps people to get to know you, and entice them to want to read the books you have for sale. Need ideas on what to blog about? Here are 50 ideas. Start a newsletter. The best way to reach readers is directly to their inbox. Social media and blog posts work, but kind of in the same way as posting an ad on a billboard. However, emailing a reader is like knocking on their door. It’s more personal. What can you include in your newsletter? I’ve posted blog posts, or excerpts from the last several blog posts. I’ve shared book news and events. I’ve offered a tip of the week. The topics are endless. How often should you send out a newsletter? That’s up to you. I suggest not sending out more than 1 a week so you don’t overwhelm people’s inboxes or make them feel like you’re spamming them. And I suggest sending at least 1 newsletter a month so that people don’t forget about you. The ideal method is to send newsletters on a schedule, like every other Thursday or on the 2nd Tuesday of each month. Need some inspiration? Join my newsletter here. Reach readers through their ears. Consider starting a podcast, or a video series on YouTube. These don’t have to be complicated at all, and they offer you something else to share on your website or social media to help potential readers become more interested in you. This blog post offers a few great pointers on vlogging, aka video blogging. 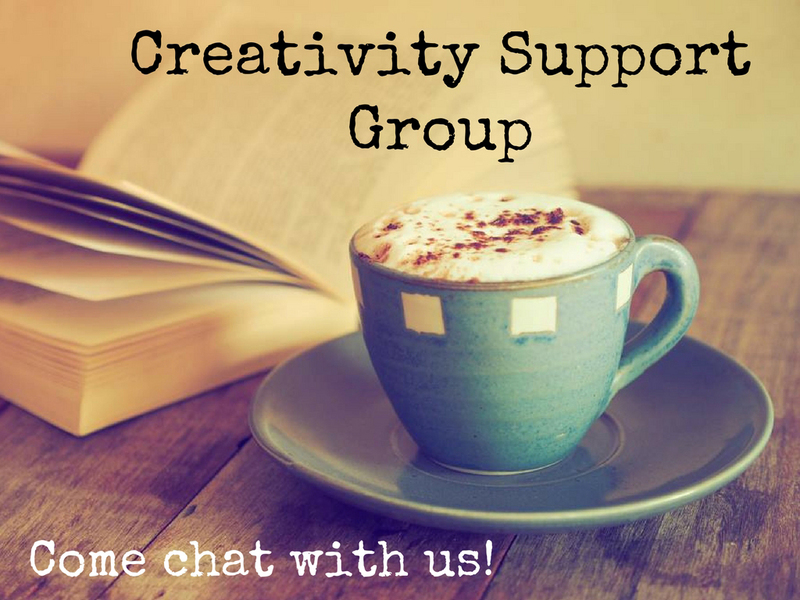 Team up with other authors. Many hands make light work, especially in the way of marketing. If you want news about your book to spread, enlist the help of other authors. In exchange, share news about their book. Another benefit of teaming up with other authors is that you can help each other with otherwise-costly book services, like book formatting, proofreading, etc. Offer your services on the things you know how to do. This is how North Coast Stories came about. I am a writer at heart. But I also love editing and book formatting. Being an author, I quickly learned how expensive these services were for authors just starting out. This is why I keep my prices low, because I want other authors to have a chance to get their books published without spending money they don’t have on getting it ready for publication. I’ve even accepted trades in offer of services. If you are an expert in a certain area of book writing or publishing, share the wealth with others. After all, Karma goes a long way. Add a link to your website or books to your email signature. Every time you send an email, the recipient will automatically learn about your books. Let someone else market your books for you – specifically other company’s email lists. Author Marketing Club has a nifty list of websites where you can enter your book when it’s free or discounted, and they will email potential readers about it. It takes a little bit of time to enter them all, but it’s well worth it. Access this list here, and then scroll to the bottom of the page. Do just one thing at a time. This is serious. Know that Rome wasn’t built in a day, and you don’t have to do everything at once. First off, that’s overwhelming. Second, trying to wrap your mind around too many marketing ideas can petrify you into doing nothing. However, doing one thing at a time will offer you baby steps forward to real results. So make a list of all the things you’d like to do in spreading news about your book, and then vow to do one thing every day. Even the smallest steps will move you in the right direction. Need more ideas? Here are 98 of them from Bookbub. Whether your book does well or not ultimately depends on the energy you are spending toward its potential success. Checking your book stats obsessively won’t help you sell more books. But if you focus on methods to get your books in more readers’ hands, you will start experiencing more satisfaction from your efforts than any worth you place on a silly graph of sales numbers.